Let's face it, your wedding day mane may be the most carefully planned hairstyle you will ever have! This detail is essential to pulling your whole bridal look together. Not only do you want to look beautiful but you want your hair to withhold all of the exciting and exhausting steps throughout your day. From your First Look to dancing the night away, there is a lot to think about when deciding your dream style. The perfect hair look can be achieved with careful planning + a professional stylist by your side. We have gathered some of our favorite styles along with expert tips to help you become a bridal bombshell! 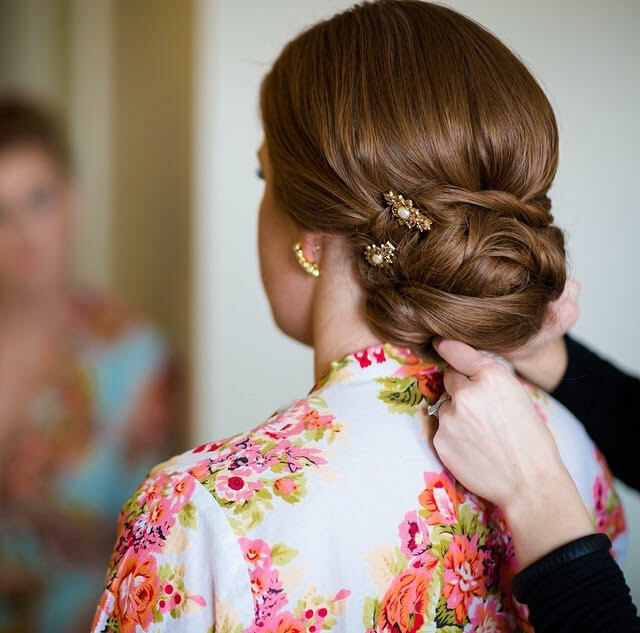 When deciding on a wedding hairstyle an important detail to never ignore is the weather! Mother nature can be unpredictable so preparing for any condition can help assure that you don’t end up with a bad hair day on your most important day. Deciding on a style that works with any weather outcome can save you from heartache in the future. 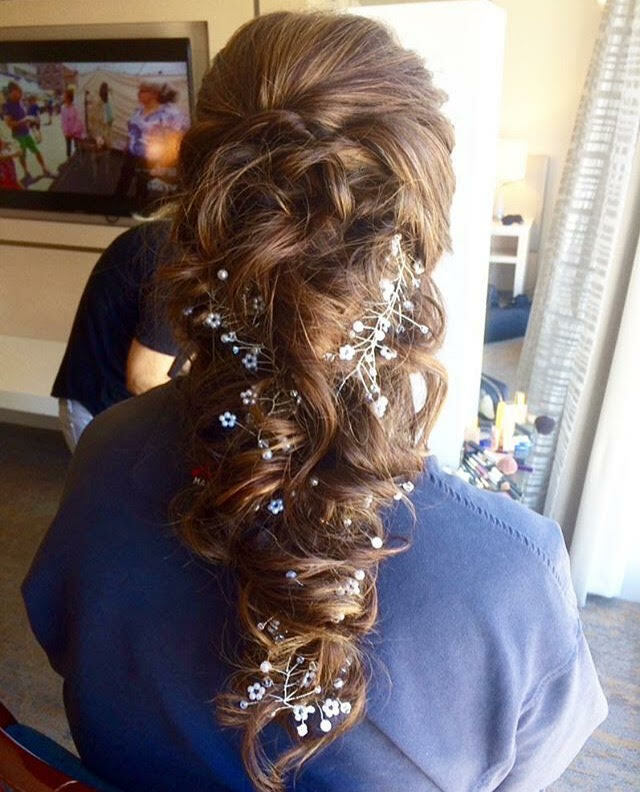 Stylist Annie Framstad from Epoch Studio Salon says, "I’m a big advocate for updos on our clients' Big Day. Wearing your hair down may be beautiful at the very beginning of the day, and even through your ceremony, but few hair types will last loose and still look great by the end of the evening. Even if weather conditions are optimal and your hair holds curl well, you could still end up with a series of unfit photos due to wind! However, if you feel most beautiful with your hair down, consider having your stylist come back after the ceremony for a touch-up and maybe even a hair transition for your reception, so you can dance carefree." An essential step to the wedding hair process is testing the waters. No matter how beautiful a style may look in a photo, there is nothing that will compare to trying it yourself ahead of time. Not only will this reassure that you actually love the look but your stylist will get time to get to know you and your hair before the day. 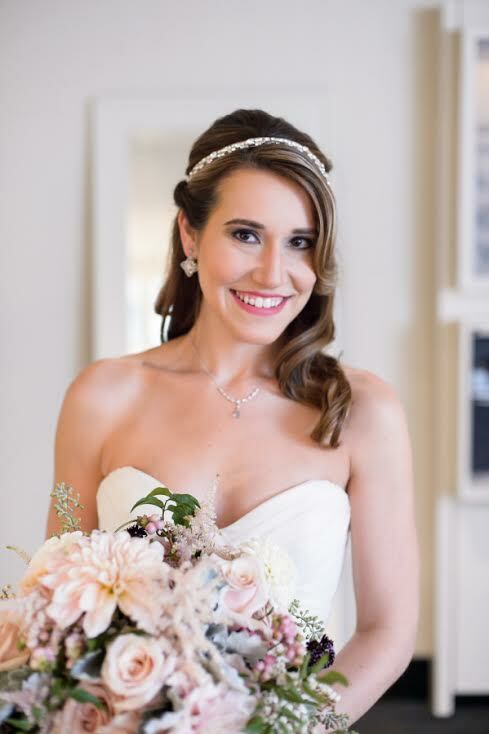 Stylist Tina Tobar from Renee Feldman Salon recommends, "Always call 6-12 months in advance to make sure your wedding date is available and to put a small deposit down to hold your date. Always get a bridal hair trial at least 2-3 months before your wedding. If you would like to do one more in advance that is completely ok too! Bring in pictures of hairstyles that have caught your eye, explain what you like and what you don't like. Bring in your veil or a sample veil, hair accessories and earrings. You may even want to wear a cream or white top to get a better visual for when your hair is all done." Using these steps will help keep the stress to a bare minimum and assure you look and feel your absolute best! 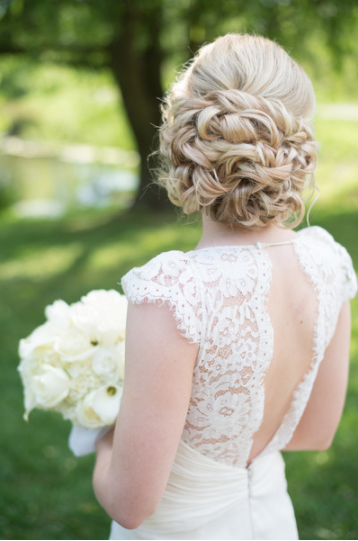 Depending on your personal style and the overall aesthetic of your wedding, you'll want your hair to follow suit! Here are a few style categories to help you determine your look! 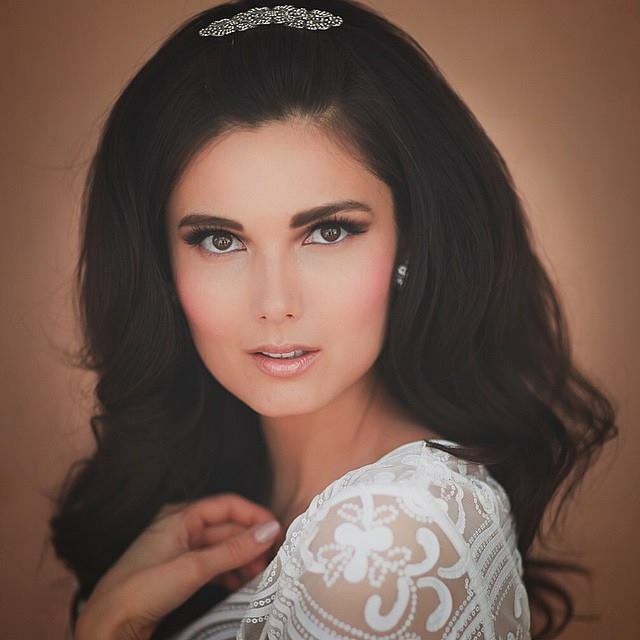 The Traditional Bride: Classic bridal hairstyles have been able to withstand the test of time! No matter the changing trends these looks have remained a tried and true favorite. When choosing your style, Founder and Head Stylist at Epoch Studio Salon, Stephanie Ostby says, "I recommend classic looks over super trendy styles. You want something that's going to withstand the test of time and doesn't scream 'I got married in <insert year here>!' when you look back at your photos." When going down this road the most simple looks provide the most beauty and elegance. Take a peek at some of the traditional bridal styles we love below! The Cultural Bride: These eye-catching looks give a new definition to the bigger and bolder, the better! With added embellishments such as head pieces and heavy jewelry you don't want your hair to be overshadowed. 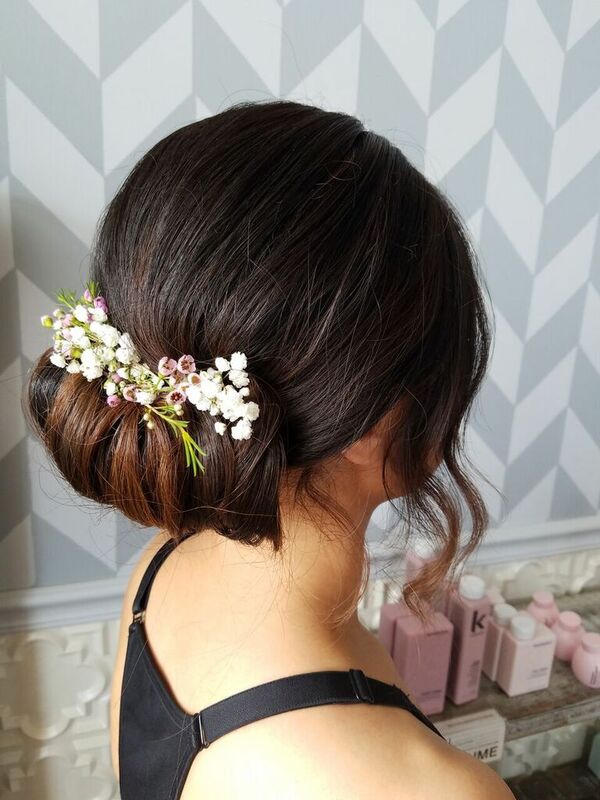 Since these styles are often intricate, stylist Annie Framstad of Epoch Studio Salon advises brides, "If you are considering having an ornate updo, length is important. But if you are not into the idea of growing out your hair for the next year, clip-in extensions are a great option for adding extra fullness to your bun or chignon." Check out some of our favorite hairstyles for cultural brides in our gallery! The Boho Bride: Boho wedding hair is a great way to show off your free-spirit personality. Surprisingly, to achieve this carefree look, you still have to keep in mind styling. From soft and wavy locks to playful braids, there is a lot you can do to achieve this look! One of the staples for boho bridal hair, Stephanie Ostby says, "Braids have been popular for the past couple years and it doesn't look like they are going anywhere anytime soon. I personally love a good braid, but don't force it if doesn't fit the overall look you're going for." Adding floral details and unique hair pieces are lovely additions to complete a truly romantic style vibe. Below are a few ethereal looks we think you will love! To see how Marquette Avenue Events can help you achieve your dream wedding hairstyle and most importantly, assist in the planning of your Bid Day, please visit us at www.marquetteavenueevents.com or call us at 312-585-7265.